On a night no one will ever forget, Della Black and three of her seven children are killed in a horrific fire in their trailer. As the surviving children are caught in the middle of a custody battle between their well-intentioned neighbor and their father and his pregnant mistress, new truths about what really happened the night of the fire come to light. When the fire marshal determines the cause - arson - rumors quickly circulate as the townspeople search for answers. Ronnie Black is the kind of man who can leave his wife and children for a younger woman, but is he capable of something more sinister? Ronnie and his girlfriend, Brandi Tate, maintain his innocence - he's a loving, caring father who wants to do everything he can to protect his family. But as the gossip continues, Ronnie feels his children (and, eventually, Brandi) pulling away from him. Soon enough, he finds himself at a crossroads - should he allow gossipmongers to seal his fate, or should he fight to prove that he's not the monster people paint him to be? 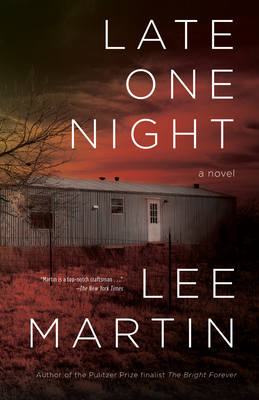 Lee Martin is the author of eight books, including The Bright Forever, a finalist for the 2006 Pulitzer Prize in Fiction. His fiction and nonfiction have appeared in such places as Harper's, Ms., Creative Nonfiction, The Georgia Review, Glimmer Train, and elsewhere. He is the winner of the Mary McCarthy Prize in Short Fiction and fellowships from the National Endowment for the Arts and the Ohio Arts Council. He is also director of the MFA Program at The Ohio State University and lives in Columbus, OH.